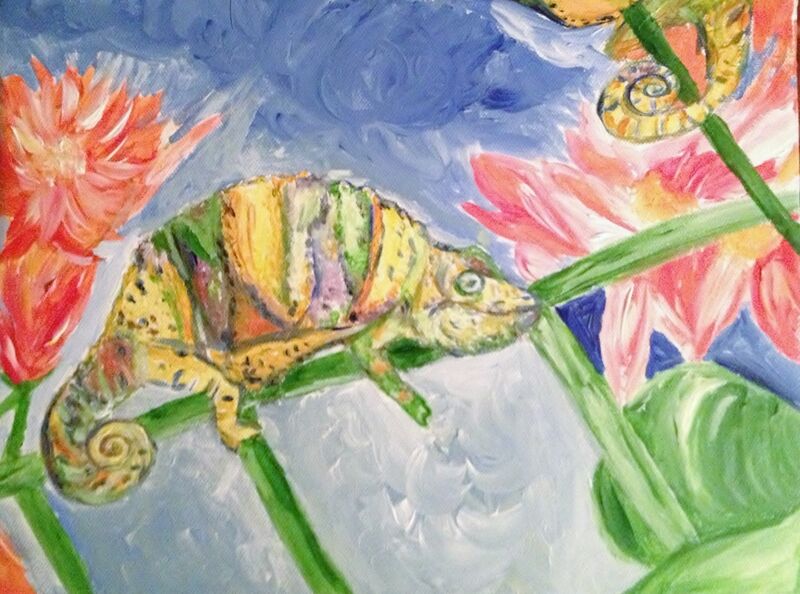 When making this piece, the goal was to focus on the unique coloring of the Chameleon. This is the perfect piece to inspire a children's playroom theme. Materials used are acrylic paint, canvas, and UV matte finish. However, additional mediums can be used to create this playful children's art.